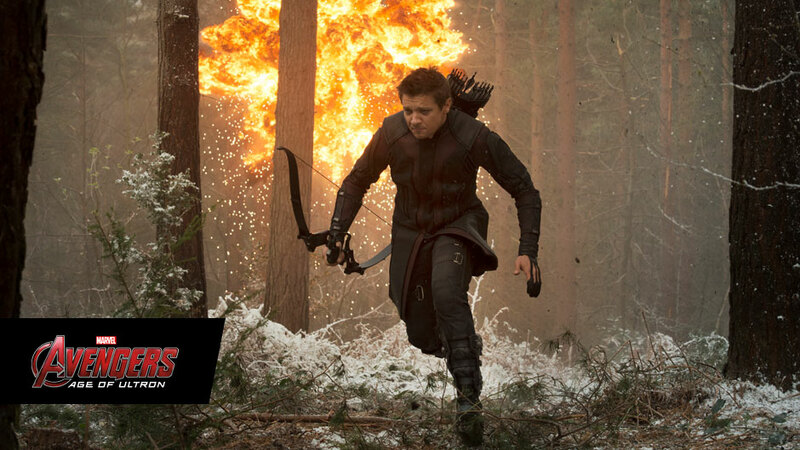 Read what to expect from Hawkeye before Marvel's 'Avengers: Age of Ultron' hits theaters on May 1! 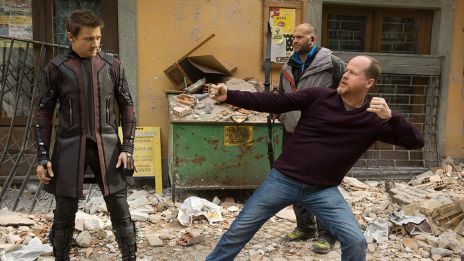 The Avengers' resident sharp-shooting bowman is back in Marvel's "Avengers: Age of Ultron"! Marvel.com recently spoke with Jeremy Renner about Hawkeye and what audiences can expect from the character in the new film. Read below for the latest on Hawkeye and see him in action when it hits theaters May 1! In "Marvel's The Avengers," audiences saw a mind-controlled Hawkeye before he fought alongside the other Avengers. 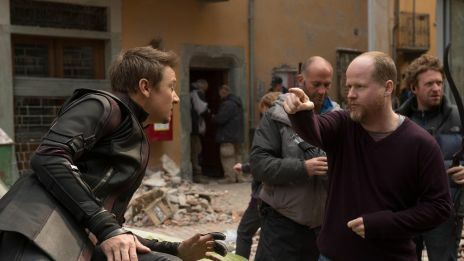 "It’s really exciting for me and [director] Joss [Whedon] to dive into the character a little bit more," Renner describes about exploring Hawkeye in the sequel. "There are some wonderful secrets and some relationships deepen." The first film only briefly explored Hawkeye's mysterious relationship with Black Widow (Scarlett Johansson), but that will be explored more in the new film. Renner says, "They have a long, long history together and there’s more of that revealed." "He’s always very skeptical of new people," Renner goes on to say. "It’s his military thinking of, 'I have to trust that you have my back.' You have to work as a unit, as a team, otherwise we all die. That’s where the skepticism comes in. It’s not to just to be grumpy or to dislike somebody. It’s all there for a reason, and that plays a lot in this movie." As a fan, Renner took great interest in Wanda and her abilities. "You’ll find that her abilities are just being tapped into in this movie. 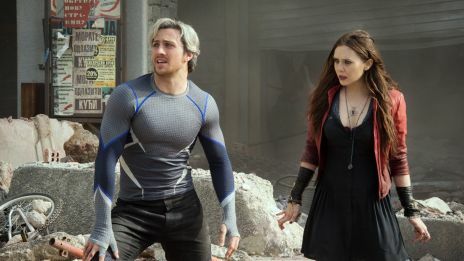 She’s still learning what they are, which is really cool," Renner explains. "That’s where I feel geeky. That’s what I’m excited to see happen in the future because that can be quite fun." Renner went on to explain Hawkeye's relationship with S.H.I.E.L.D. "He’s kind of a loner. He’s a team player only when he has to be. He’s not really a company man. I don’t think S.H.I.E.L.D. was ever really that important to him." Renner clarifies, "Fury’s awesome. He likes Fury and will do anything for him, but he doesn’t punch in and punch out." When audiences saw the destruction of S.H.I.E.L.D. in Marvel's "Captain America: The Winter Soldier," they questioned Hawkeye's whereabouts. "You’ll know in this movie where he’s been [laughs]," Renner teases. "It’s a really wonderful reveal. It’s pretty awesome." "Avengers: Age of Ultron" puts the Avengers in some of the most dangerous locations where they face some of their most dangerous threats. This means an upgrade in Hawkeye's equipment. Renner elaborates, "Hawkeye really has a lot of utility. He'll use an arrowhead that does this or does that, but it’s still just the tip of an arrow. It can only do so much." This also means seeing Hawkeye use his abilities in different ways. "For instance, if Hawkeye's normally a distance guy, we see what happens when it's close quarters," details Renner. "You have to be clever with things. Clever fighting is what I wanted to explore a little bit more." Hawkeye is one of the few Avengers without super human abilities, something Renner took joy in. Renner discloses, "That’s the fun part. You have to be a smart fighter when you don’t have the super powers, and that’s what makes him super in a way. [laughs] He has to use his mind as much as his ability to never miss." Between future Marvel Studios films or television series, Renner wants to continue exploring the character. "There are always opportunities in the Marvel Universe to jump into a lot of different scenarios. I do not know the future, but I’m happy to be doing it now." Renner specifies, "There has to be a good rhyme or reason for it. I like the character enough and anything to explore him more is something I’m always open to."